The acting US defence secretary has warned that the testing of anti-satellite (ASAT) weapons can create a "mess" in space after India destroyed one of its own satellites on Wednesday. "My message would be: we all live in space, let's not make it a mess. Space should be a place where we can conduct business. Space is a place where people should have the freedom to operate," Mr Shanahan told reporters after India's test. Debris from such tests can harm civilian and military satellite operations, and collide with other objects in space. But India said that it had intentionally carried out its 'Mission Shakti' test in the lower atmosphere - at an altitude of 300km (186 miles) - to ensure that there was no debris and that whatever was left would "decay and fall back onto the earth within weeks". "That's why we did it at lower altitude, it will vanish in no time," G Satheesh Reddy, the chief of India's Defence Research and Development Organisation, told Reuters in an interview. "The debris is moving right now. How much debris, we are trying to work out, but our calculations are it should be dying down within 45 days." Some experts have cast doubt on the Indian claim, saying that the path of debris cannot be controlled. The US military is monitoring more than 250 pieces of debris from the Indian test, Reuters news agency quoted a Pentagon spokesman as saying. The US carried out its first ASAT test in 1959. China's 2007 test - which destroyed a defunct weather satellite at an altitude of 865km - left a large debris cloud in orbit. "Some people like to test anti-satellite capabilities intentionally and create orbital debris fields that we today are still dealing with," the US space agency's chief Jim Bridenstine told Congress on Wednesday. "And those same countries come to us for space situational awareness, because of the debris field that they themselves created," he said. In 2012, the then head of the Indian Defence Research and Development Organisation (DRDO) said that while India had "all the building blocks" for an ASAT weapon it did not want to test the system by destroying a satellite "because of the risk of space debris affecting other satellites". 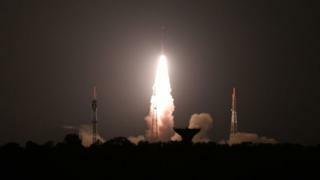 Indian Prime Minister Narendra Modi announced the ASAT test in an unexpected national address on Wednesday, saying India had "established itself as a global space power". Pakistan, India's neighbour and rival, launched two satellites last year with the help of China. India's foreign ministry characterised the test as peaceful and said it had "no intention of entering into an arms race in outer space". 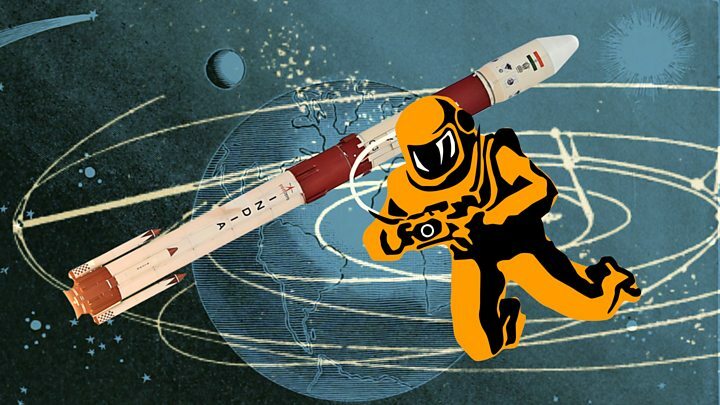 Video India space: Has the country become a superpower in the stars?